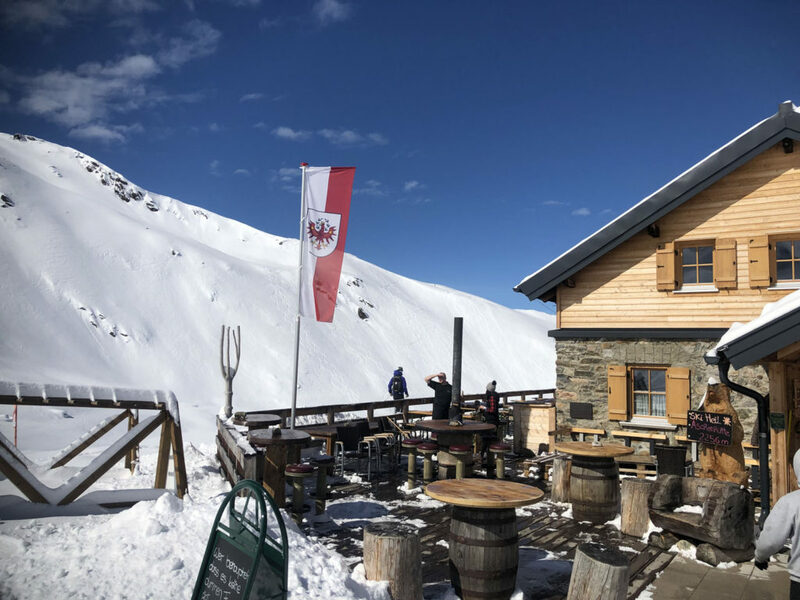 Paznaun Valley of Tirol is a fantastic ski region in western Austria with four ski resorts – anchored by the legendary Ischgl – the largest of all, the valley also is home to three “smaller” mid-sized skier areas, Galtür, Kappl and See. 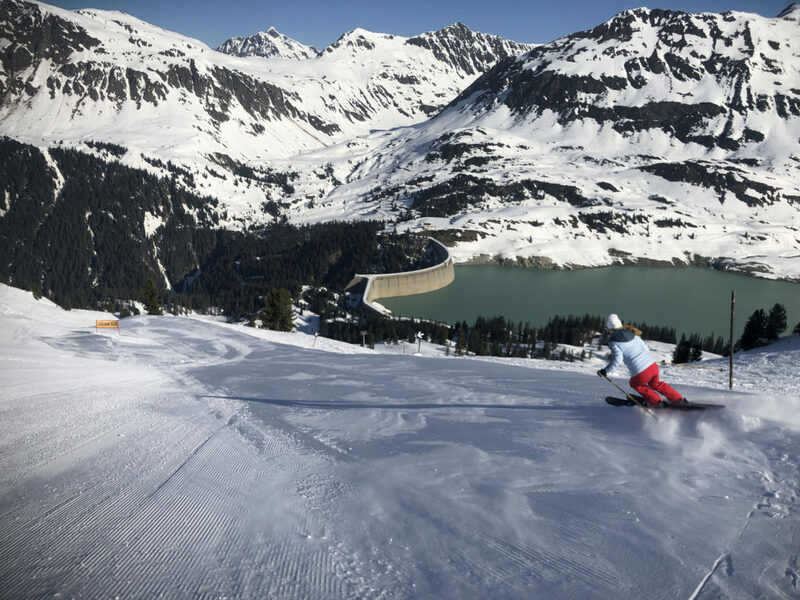 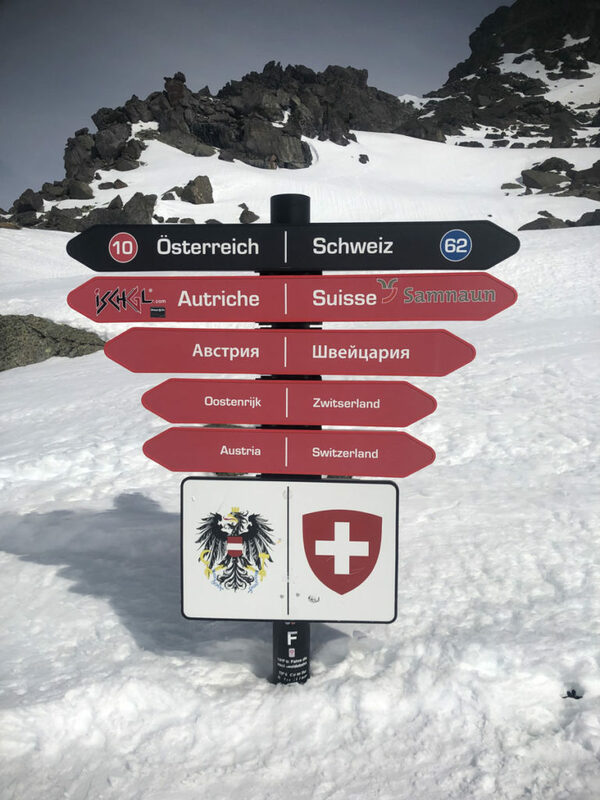 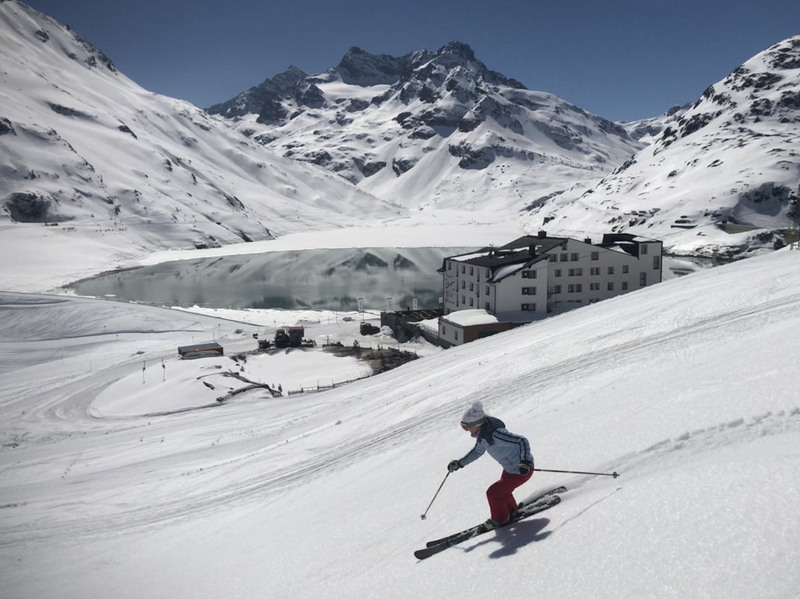 The Paznaun Arena of skiing encompasses a total of 77 lifts and tons of skiing, although these ski areas are not interconnected – they are just 5 to 20 minutes apart with Ischgl in the center of the valley. 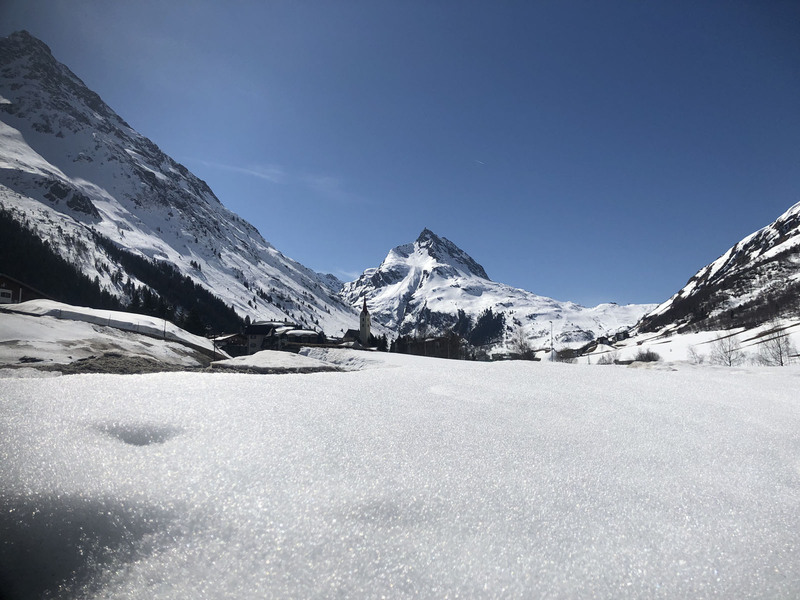 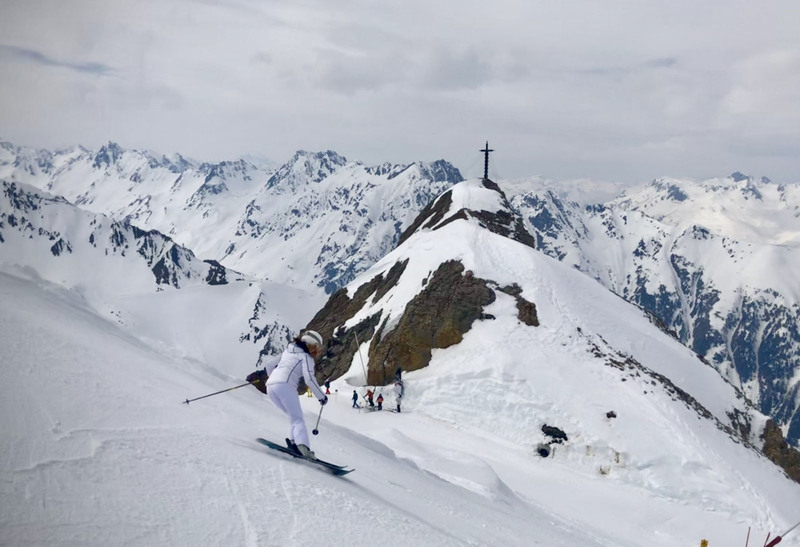 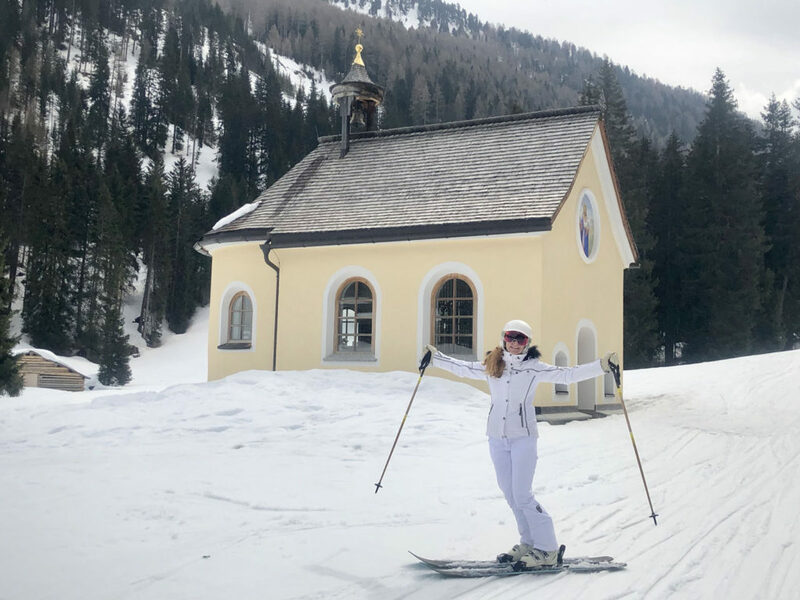 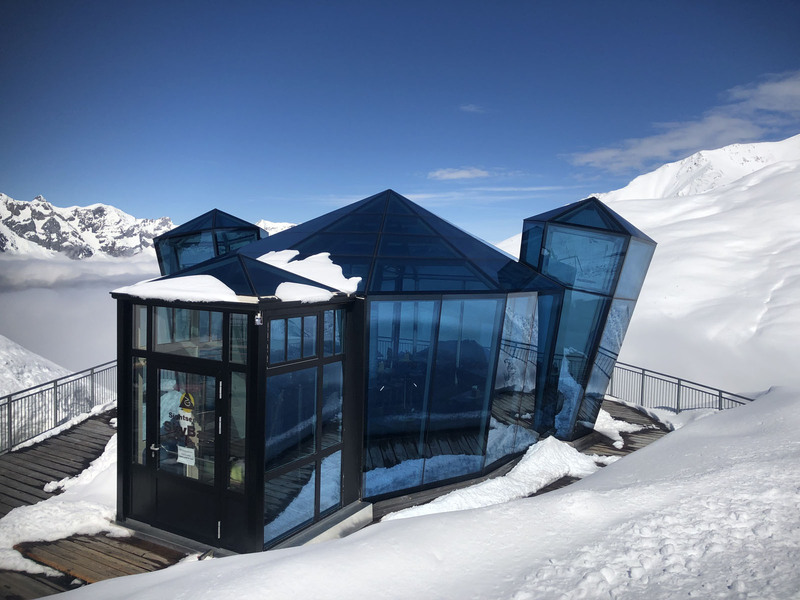 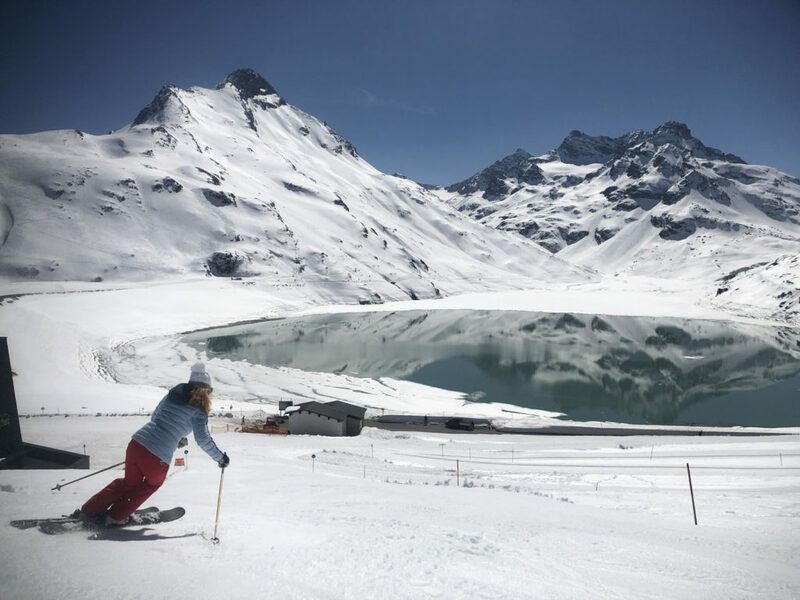 Paznaun is within the Silvretta ski region that spans from Switzerland’s Grabunden to Austria’s Voralberg and The Arlberg – the heart of The Alps for skiing. 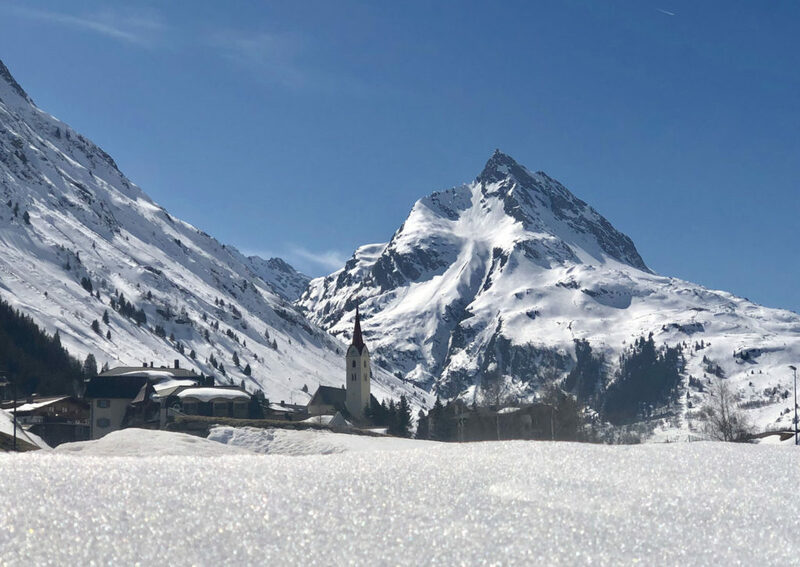 These beautiful Austrian Alps are as famed for their summer hiking and cows grazing in this high alpine, this is where farmers cultivate their legendary Paznaun cheese and delicious beef on the same slopes that are covered with snow and skiers come winter. 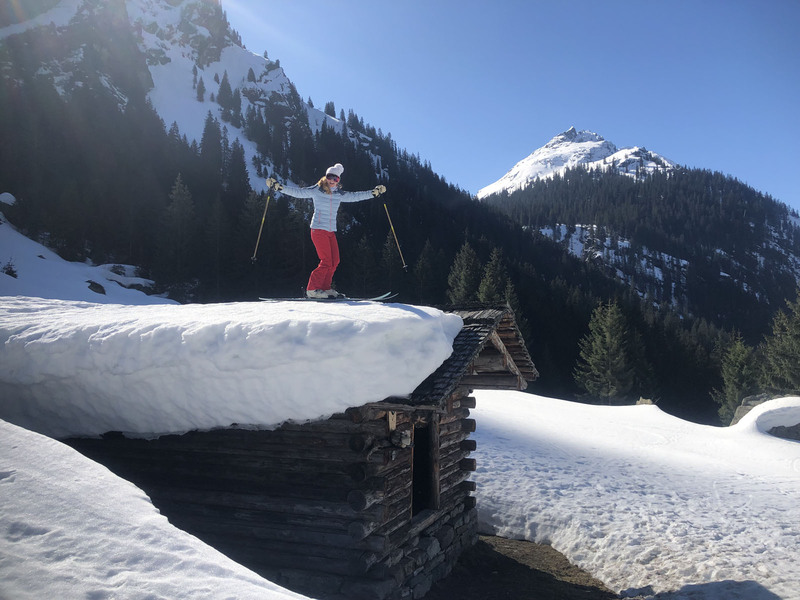 As you ski along, you see the homespun farmers’ wood huts tucked in by the slopes, often roofs draped with loads of snow. 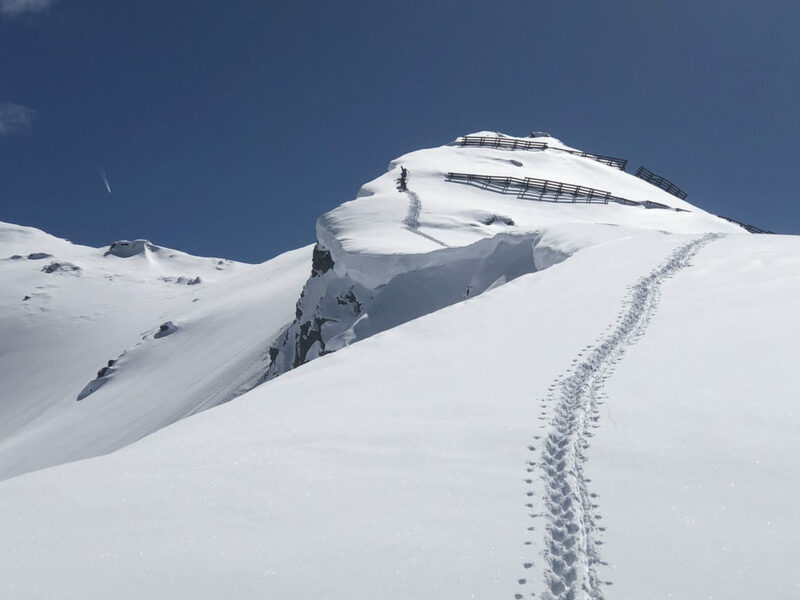 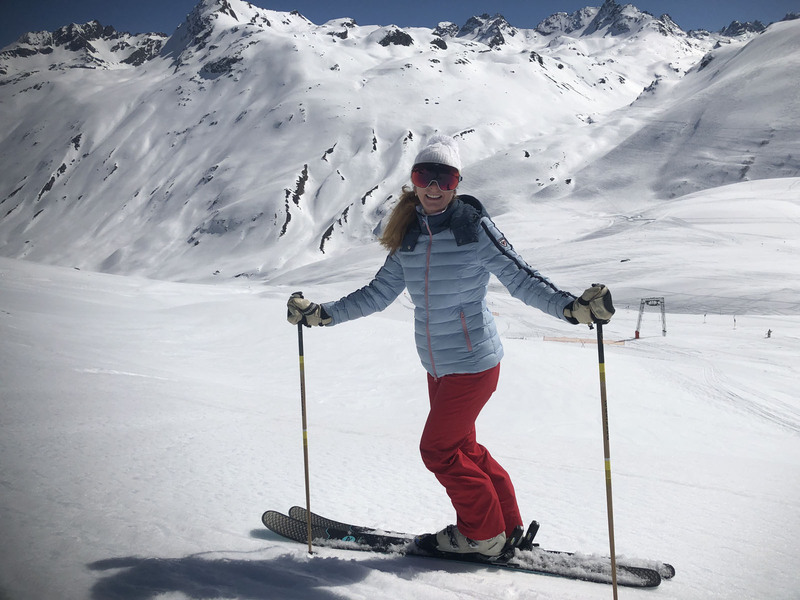 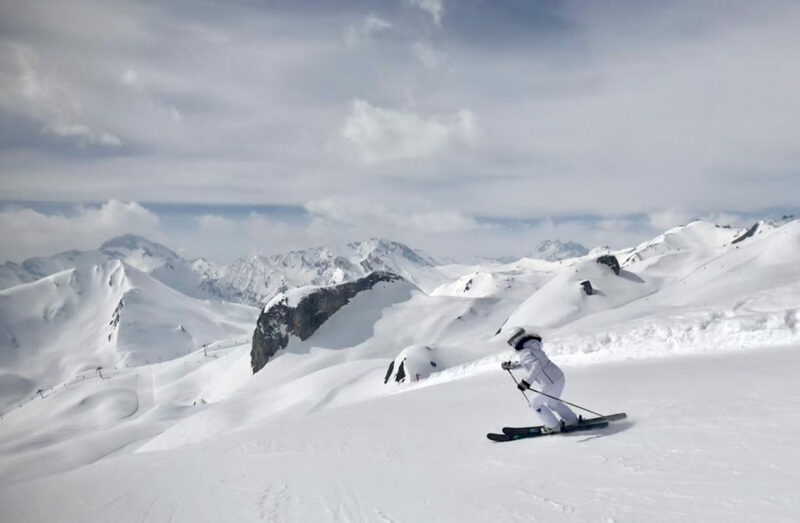 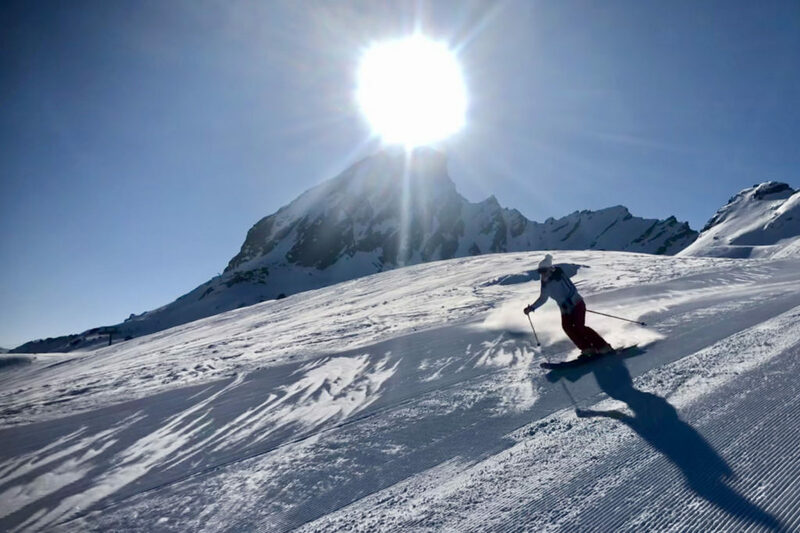 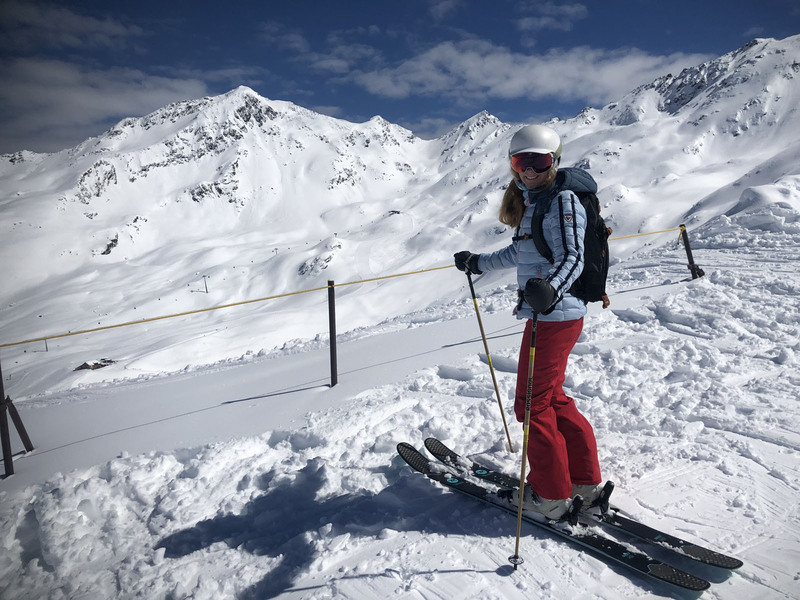 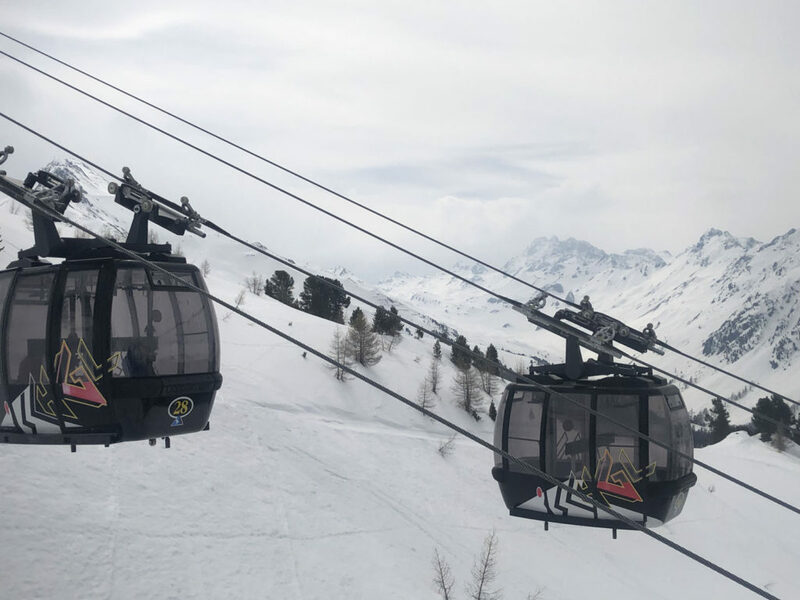 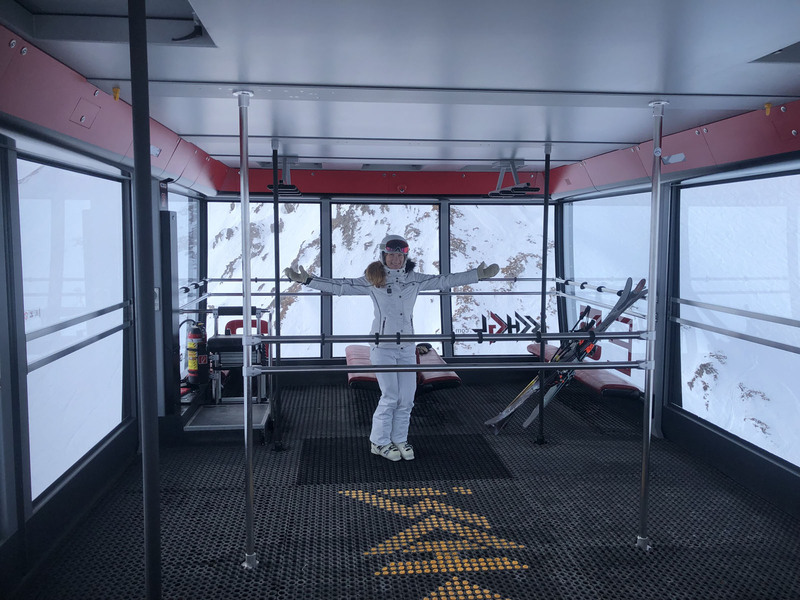 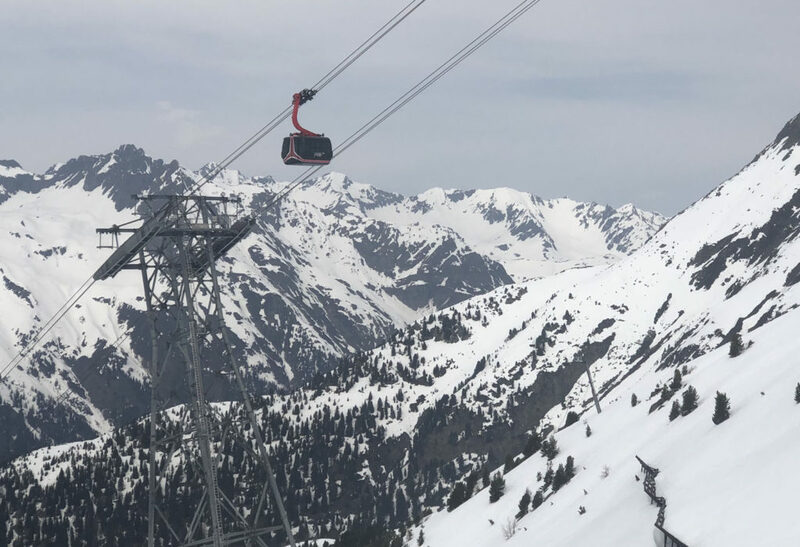 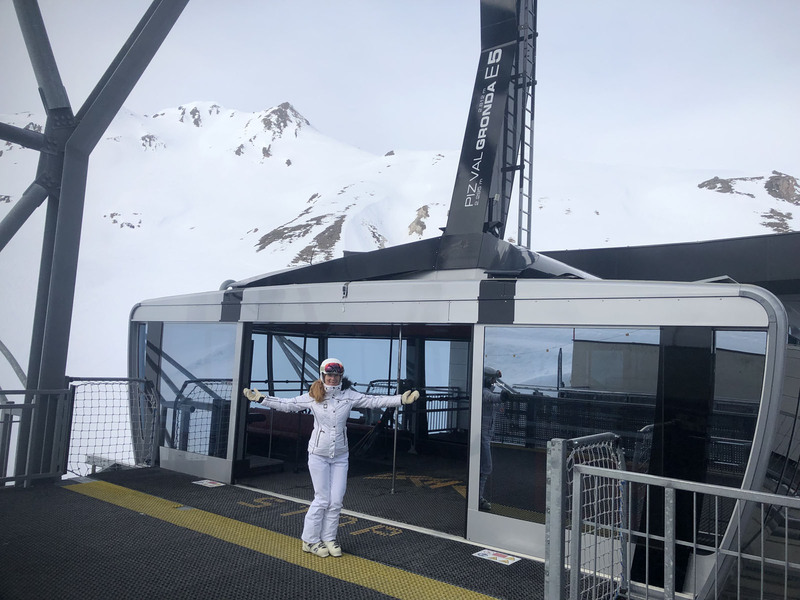 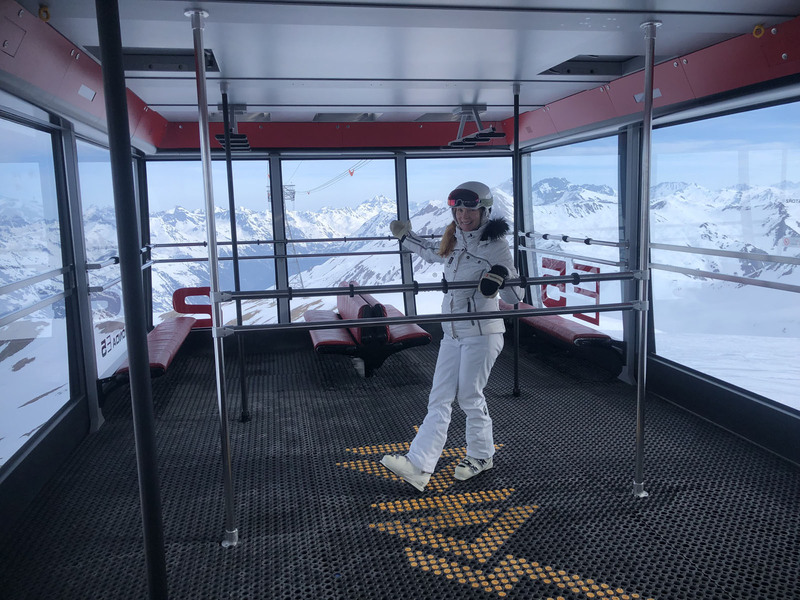 Much of the skiing in Paznaun is high elevation, starting at over 1,000 meters and reaching above 2,500 meters (over 8,000′), which is key for snow accumulation and ski conditions despite how sunny the Alps can be mid-winter into spring. 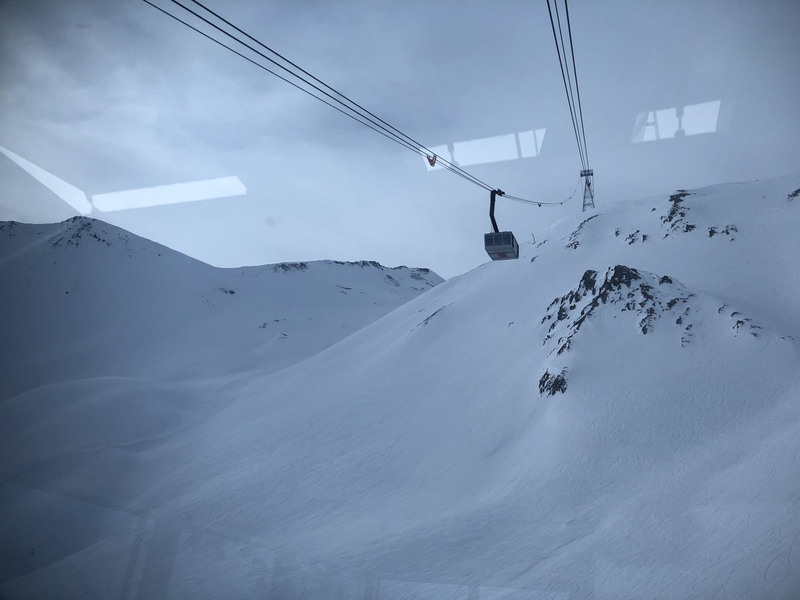 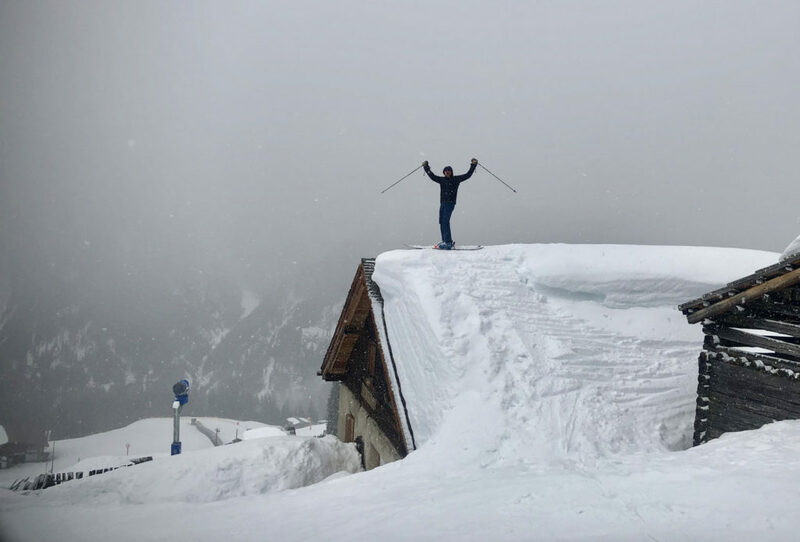 Ischgl’s highest summit is 2,864 meters. 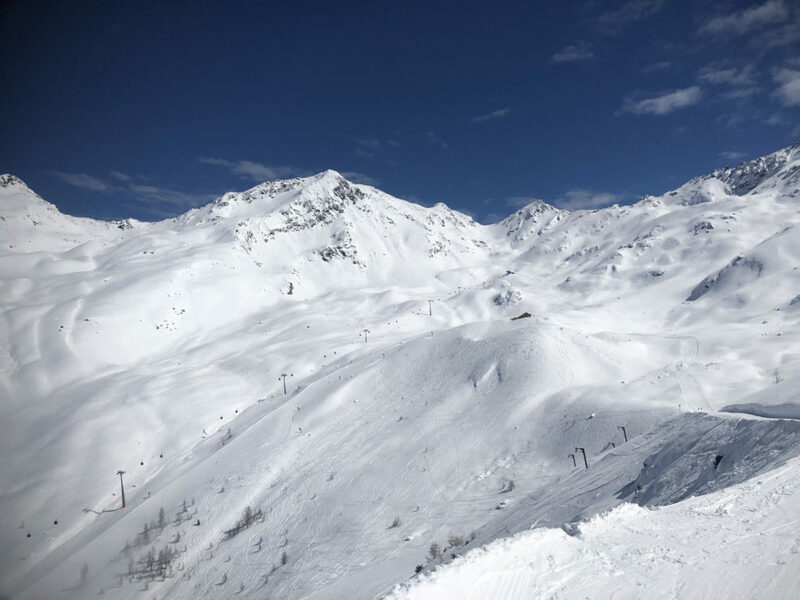 See is the first ski area you arrive at entering the Paznaun’s Valley. 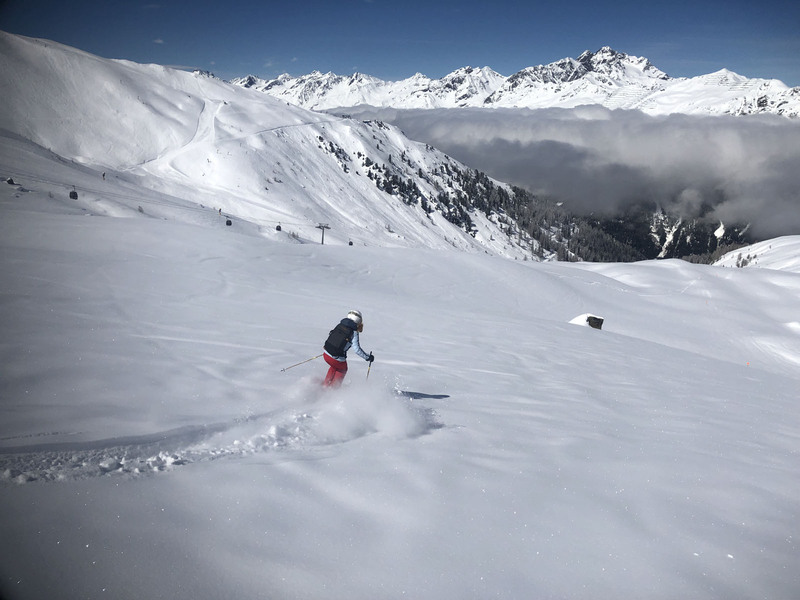 A gem for family skiing, or for free riders looking for off-piste opportunities on a powder day. 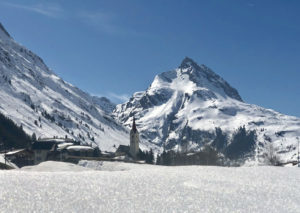 From See you can see Kappl across this picturesque alpine valley. 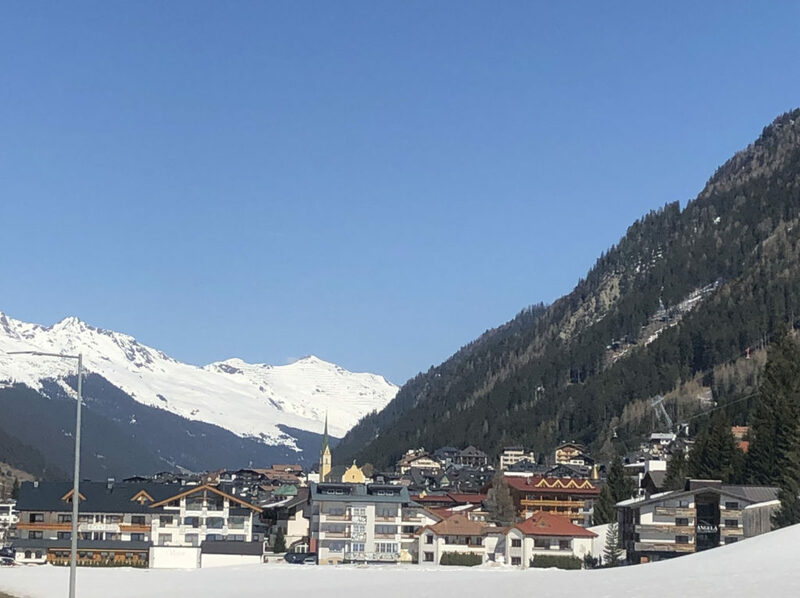 These Austrian Alps views are amazing at all of these ski resorts. 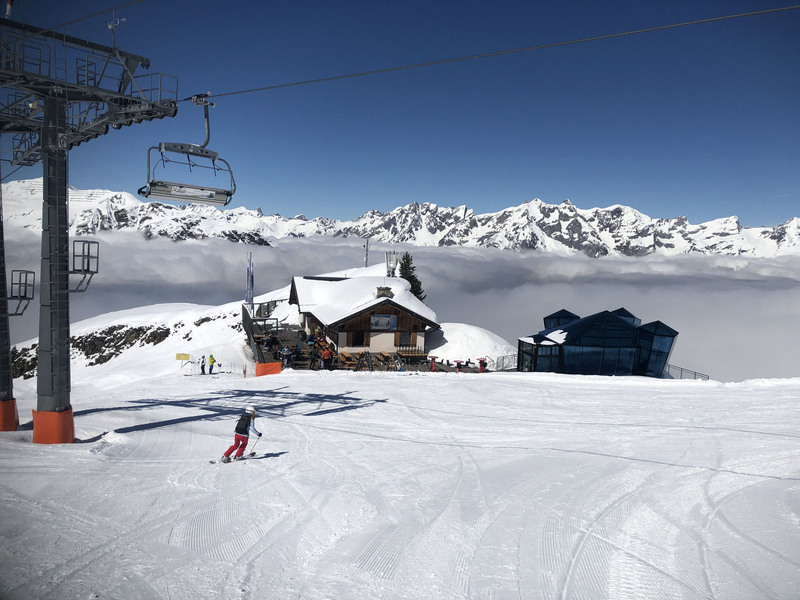 Kappl just beyond See is another fun family friendly ski area – nicknamed the Sunny Mountain for its warm sunshine exposure. 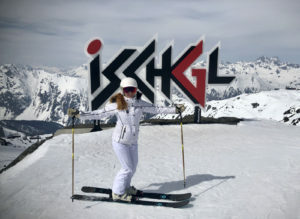 Ischgl with its connection to Samnaun Switzerland is 15 minutes past Kappl. 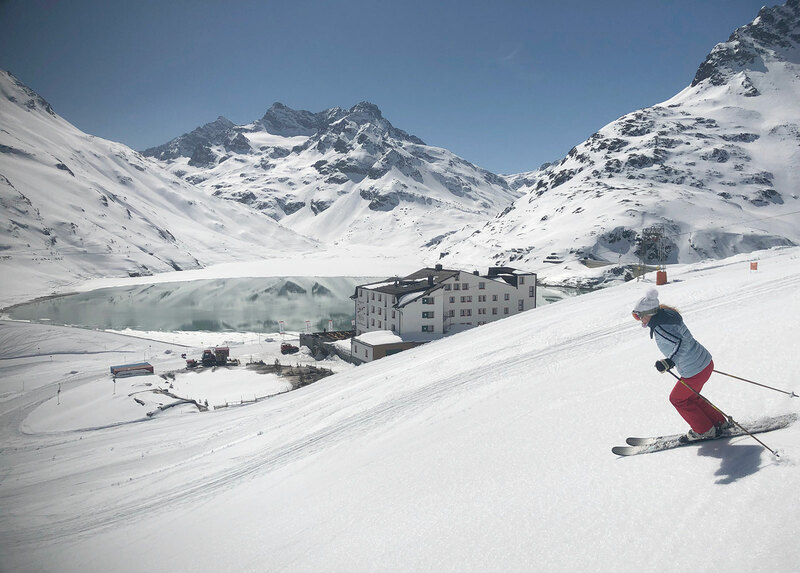 Ischgl is one of the largest ski resorts in Austria, and by far the biggest of the Paznaun valley. 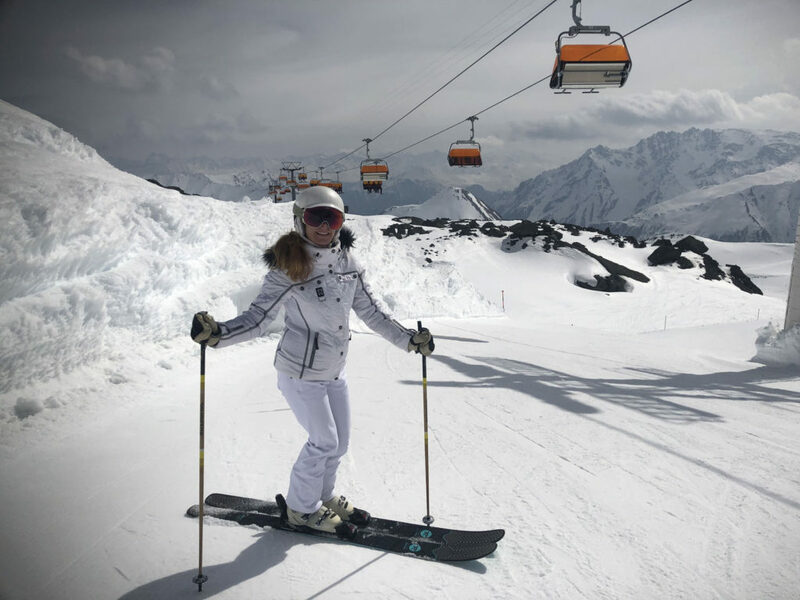 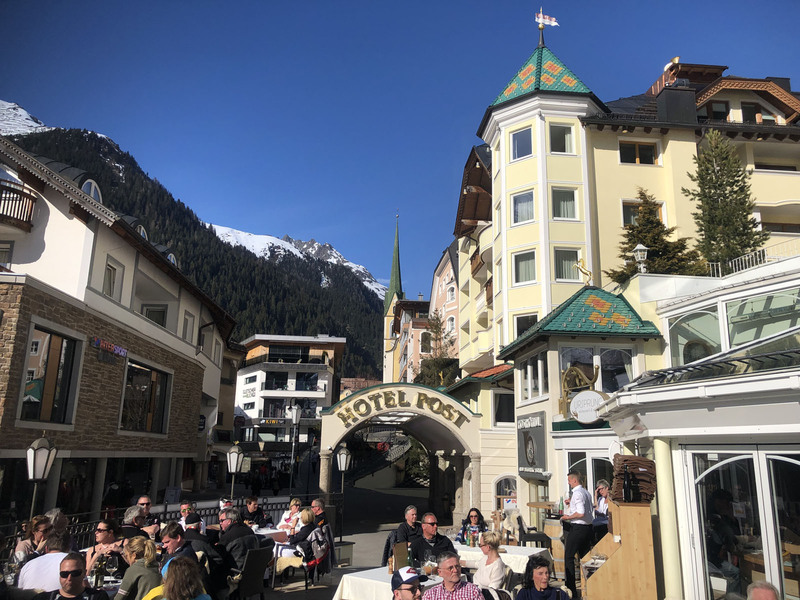 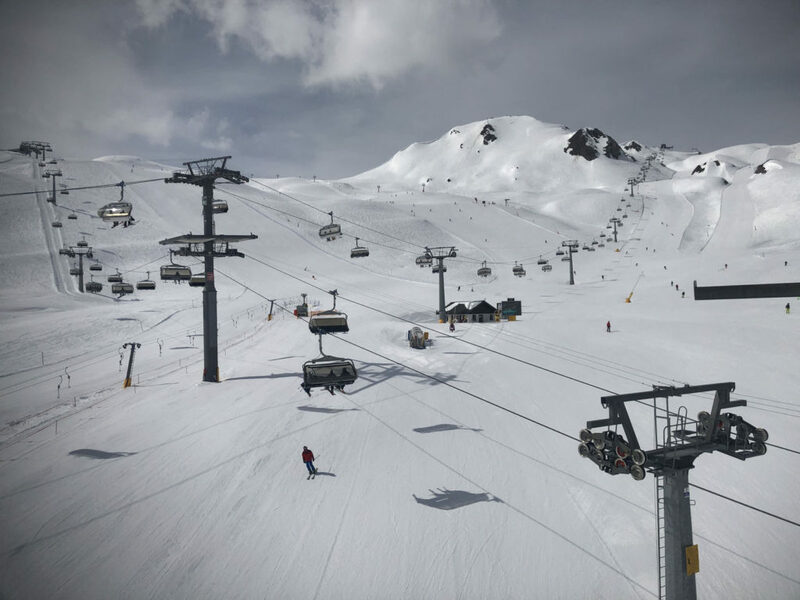 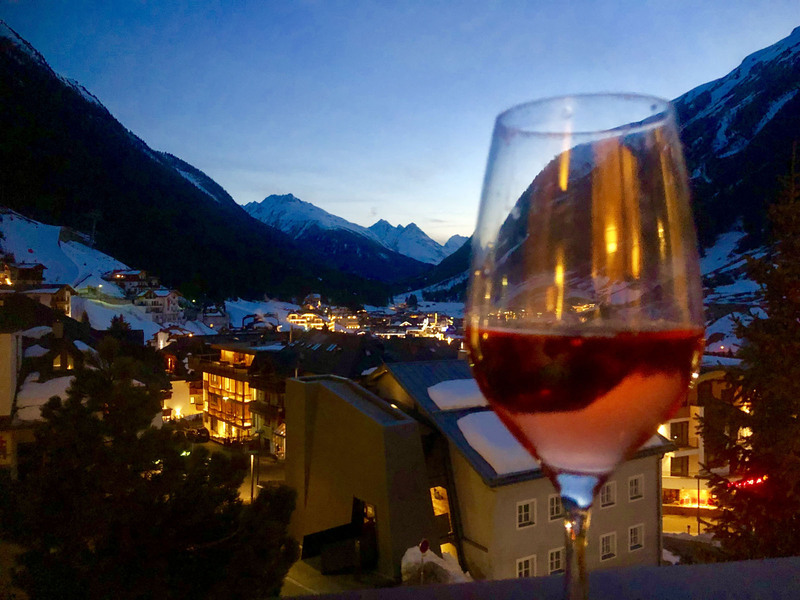 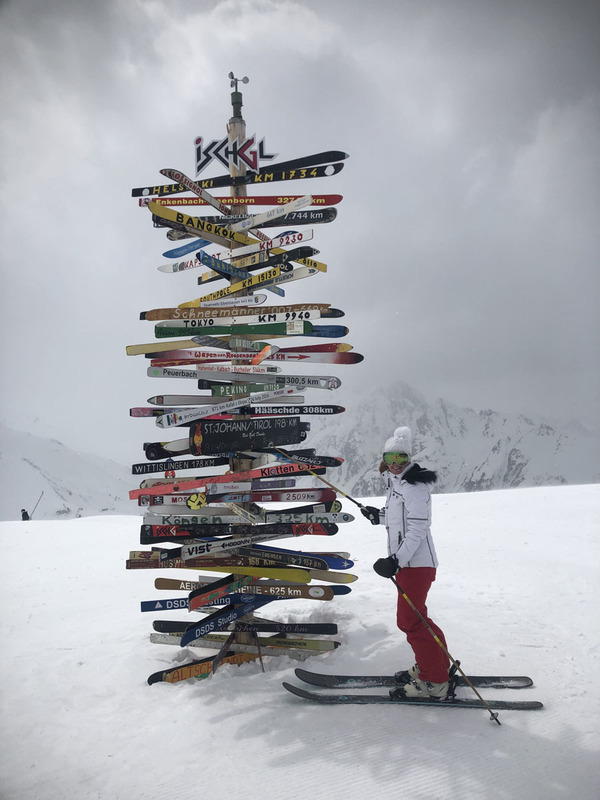 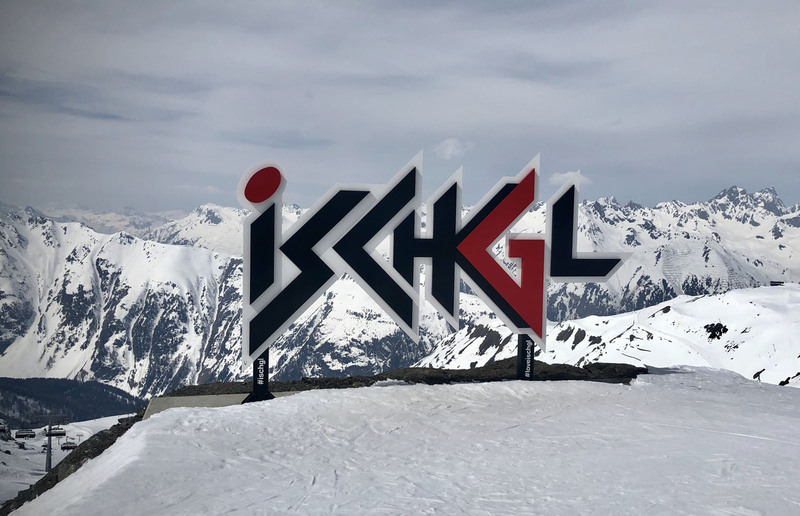 Ischgl is a must ski – for its modern high capacity lifts, countless pistes and slopes dropping back and forth into Austria and Switzerland (no passport or border patrol required) and its vibrant après ski and nightlife in Ischgl’s historic but chic ski village at the base. 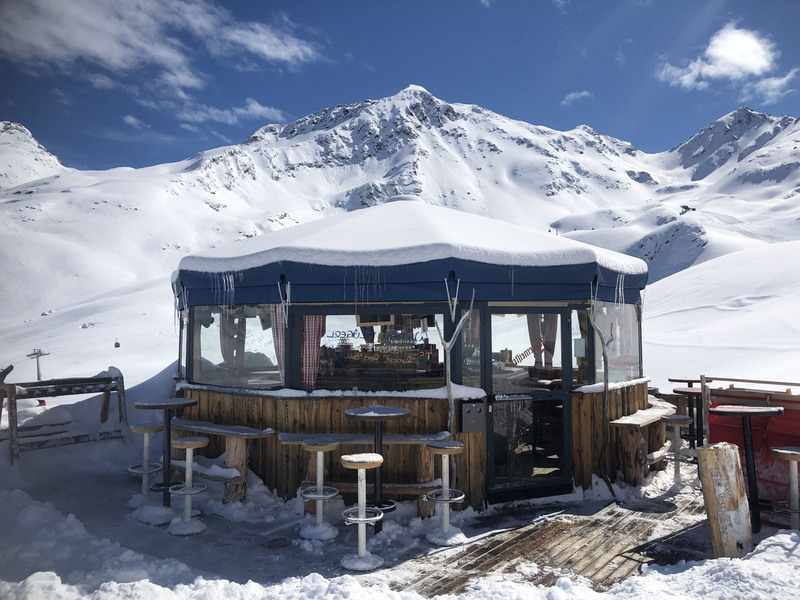 If Ischgl ever feels too big, overwhelming or crowded venture off to any of the 3 other ski resorts in Paznaun valley, Galtür, See and Kappl. 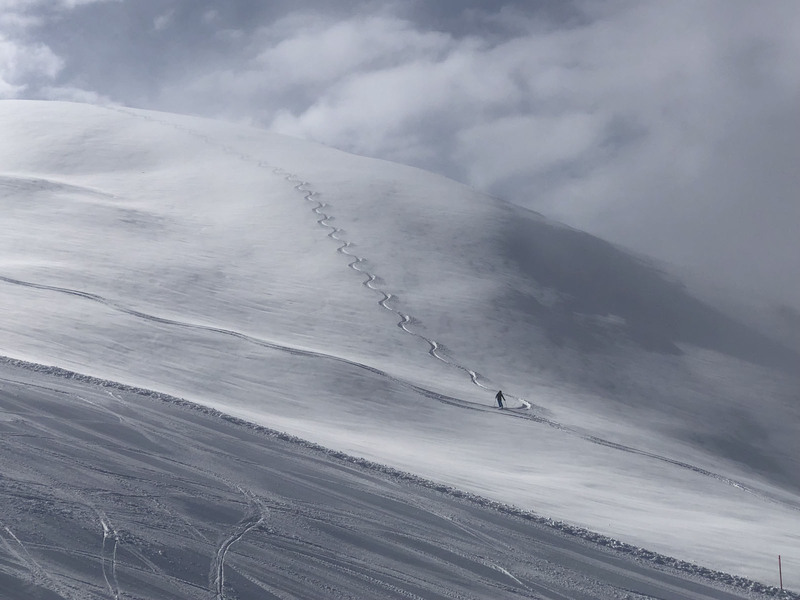 Each offer more modest, smaller but still big mountain skiing. 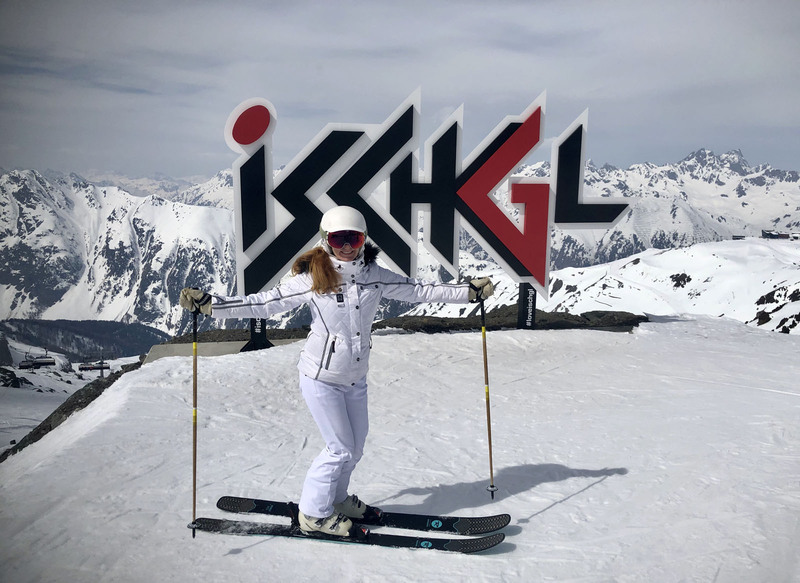 Ideal for young families given their manageable size, their humble happy ski school programs and kindergarten (day care and lessons for the youngest), and their affordable family pricing. 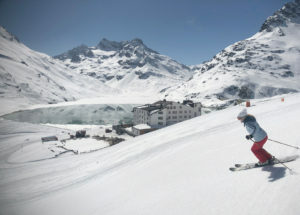 Ski tickets are $40-50 Euro, and often family ski package deals are available. 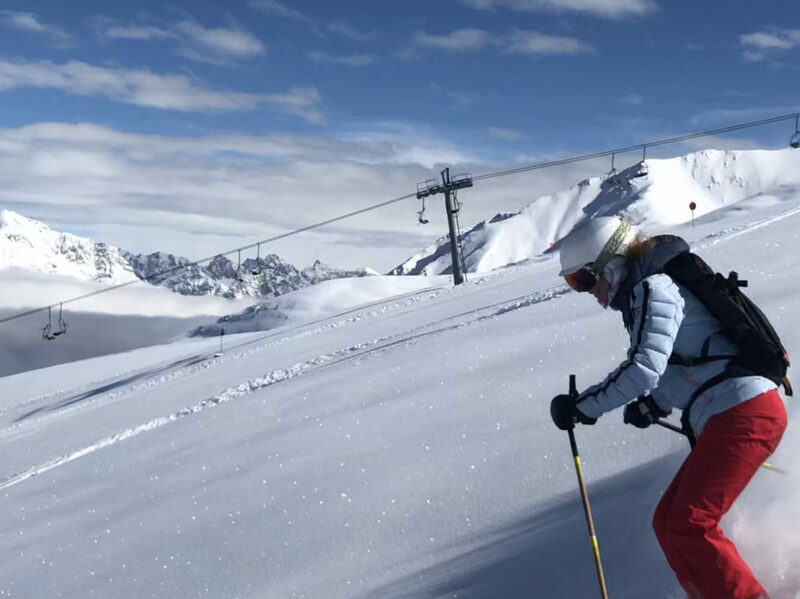 These 3 areas also offer amazing freeriding opportunities off-piste without the “powder panic” found at other larger resorts. 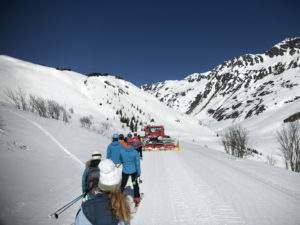 The Silvretta Ski Safari starting in Galtür is a wonderful opportunity to tour around the high alpine, pulled by snow cat and skiing outside the ski area boundaries, to another ski area Montafon Silvretta, through forested valleys around the impressive mountain range, even hopping aboard a “tunnel taxi” to pass through a mountain tunnel, in a circuit up to a high plateau lake and chalet restaurant for lunch before descending back to Galtür on skis to fisnih your day’s tour. 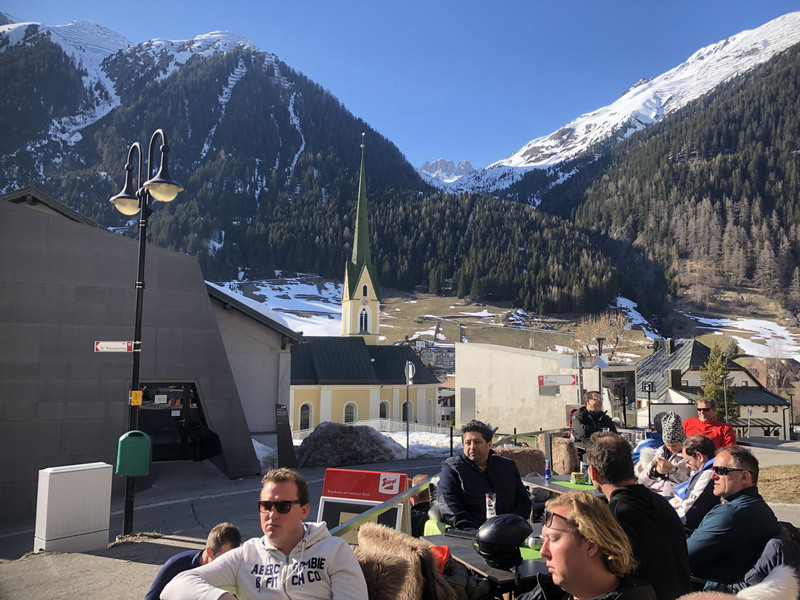 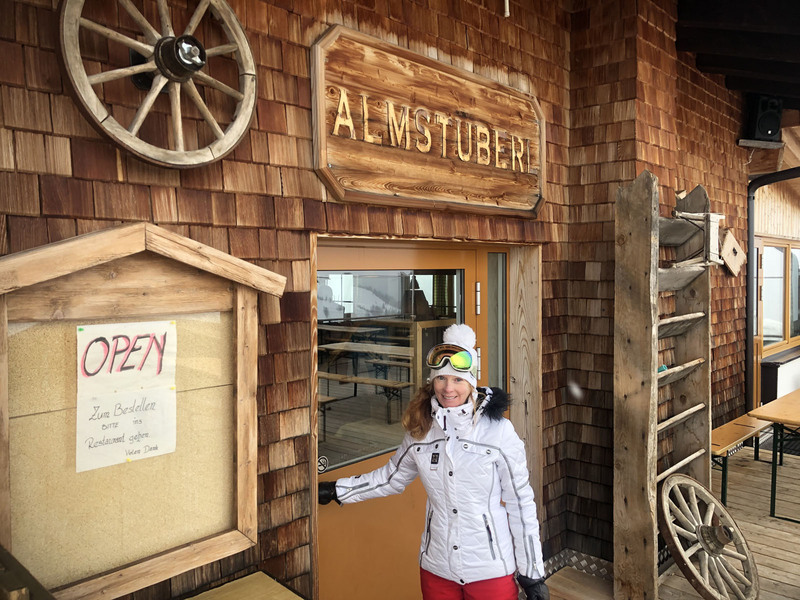 The famous Arlberg ski region neighbors the Paznaun region, less than an hour’s drive from Ischgl is this largest ski network in Austria which comprises St Anton, Stuben, Lech, Zürs, St Christoph, Oberlech, Warth and Schröcken – a total of 8 connected ski resort villages. 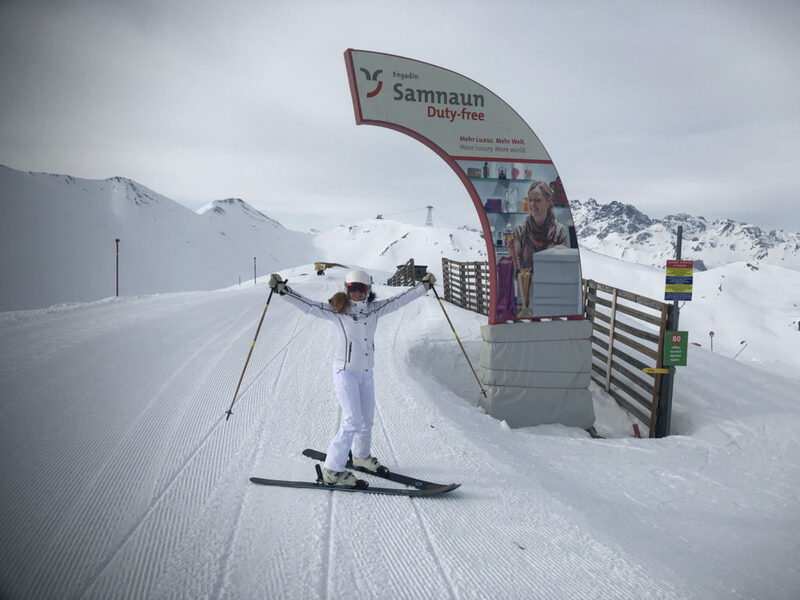 Serfaus Fiss Ladis the next valley over is another family-friendly ski region that could be combined in a ski tour of these proximate Austrian Alps.